A severe mood disorder like bipolar disorder can cause serious stress and strain within the family. The patient suffers from extremes of emotions that range from euphoric conditions to excessive depression. In such a situation, not only does the patient suffer but it is also the family which bears the pain. 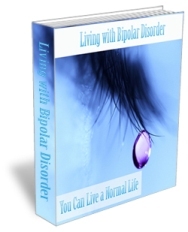 The situation becomes worse when a mother has bipolar disorder. The mother generally is the primary care giver in a family. Her illness inevitably raises panic levels and it often becomes difficult for children to deal with such a situation. Alternative periods of mood swings coupled with paranoid behavior, in acute cases, can break the family completely. Sometimes the paranoid behavior may require hospitalization. Family based psychotherapies can help in coping with the trauma of living with a paranoid or bipolar mother. Pregnant women with bipolar disorder or when a mother has bipolar disorder and has recently given birth, the risk factors involved with the illness increases manifold. Chances of hospitalization increase rapidly as the bipolar symptoms worsen. New mothers on medication for bipolar disorder may have adverse effects on their children. As a result doctors have to be very careful about administering any kind of drugs to pregnant women and mothers who breast feed their children. Proper planning and constant care can help mothers with the disorders. Therapy as well as medication can solve their problems to a large extent. Support programs of various kinds can be used in the form of regular monitoring by a nurse or other caregivers. In the case of elderly women, the disorder might be accompanied with several other diseases and medication might affect those diseases. Therefore, doctors have to be careful in prescribing drugs for such patients. When a mother has bipolar disorder, children living with her suffer tremendously because they are unable to understand the changing emotions. Husbands also find it very difficult to cope with such behavior. Since it cannot be diagnosed easily, family members have to cope with irrational behavior for long periods of time without knowing about her illness. Negative responses from family members in such situations might worsen the condition. Many people are of the opinion that special care should be taken in psychiatric facilities or places away from the home. In such cases the patient can be kept away from the family members for effective treatment. However, the emotional loss faced by family members, especially when a mother is suffering from the disorder cannot be comprehended and support groups can provide effective suggestions on coping with the problem.